Just a quick note to let readers know we are ok here in SC. Although we have some standing water and some flowing water on our property, we have been far luckier than many in the state and haven’t had any major problems. We are sheltering in place and doing fine. The only reason I haven’t been able to blog is due to our internet connection – normally hit and miss, now just miss. As soon as I am able to get a reliable connection at home or safely get somewhere that has a good connection, the blog will be back in business. Also, I see that I have emails but I am unable to read them so please be patient for responses. Oh and if anyone wants a stir-crazy dog (or two), we are having a sale. Please e-mail photos to me no later than December 21, 2014. I’ve put up a sign outside my house that says “Public Book Club Meeting Here”. 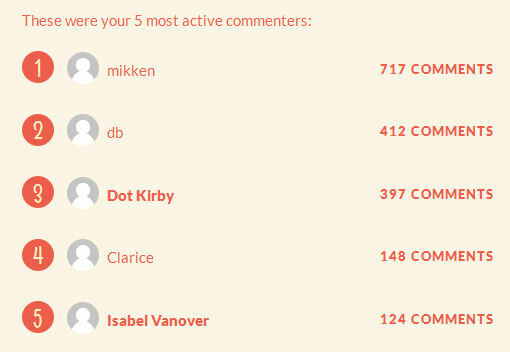 My regular readers and commenters are guests at my house. We have all read the same book (actually, just the day’s blog post) and we’re sitting around talking about it. If someone new comes knocking on the door and wants to join in the discussion, he is welcome. The more, the merrier. Except sometimes the new guy busts in with mud on his shoes and immediately starts poking his finger in my chest and/or those of my guests, asking if we want to take it outside. And he hasn’t even read the book. This type of person gets the hose and is not welcome to return to my house, ever. Then there’s the guy who reads the books but only drops by when he wants to say how hard the book sucked. He never likes no books. This type of person gets put on moderation so I can decide if and when I feel like foisting his negativity upon my guests. I hope this helps to explain life. Or at least some aspects of the blog. If your life goal for 2014 is to see your name here this time next year – and if it isn’t, obviously it should be – start commenting now. I always love receiving tips from animal advocates. Unfortunately my day job requires that I perform duties of benefit to the business owner and working on my personal blog apparently falls outside that realm. (Totes unfair.) As such, I do not have the time to research every story I receive. But I try to do my best and want to let tipsters know how you can help me to cover your story by way of these fictional examples. Last year, our local pound failed an inspection from the state. At that time, several of us formed a group called Reform the Pound and here is the link to our page on Facebook. Since then, we have been filing FOIA requests for the follow up inspections at the pound and found that the problems remain unresolved. I am attaching copies of all the failed inspection reports to this e-mail. Please let us know if you need any additional information. Our local pound is a horrible place that kills 99.99% of its animals. We need to expose what’s happening there and would like you to post about it. I am attaching photos of an empty dog bowl, a dog’s paw and some cat food. I have also sent you 49 additional e-mails that include forwarded e-mail exchanges between people complaining about conditions and workers at the pound, a link to a newspaper article from 3 years ago that isn’t about our pound but mentions the name of one of the former employees, a phone number of some person you can cold-call, as well as some other undated, uncredited photos depicting various items with no context. Help! File FOIA requests for the publicly available documents and photos that concern the problems at your pound. The most recent year’s statistics report is an excellent starting point. Send me one e-mail explaining the most basic points and including links and/or attachments of the relevant supporting news articles, documents and photos. Give me one main contact person’s name, e-mail, location and phone number (this should be the e-mail sender). Allow me time to review the information. If I am able, I will review it immediately upon receipt and send you a reply. Or I might need a couple weeks, depending on what the universe is throwing my way at the time. Like most animal advocates, I am doing this on a volunteer basis and squeezing as many hours out of each day as I can (although I seem to have hit a plateau at 24). A brief follow up note asking if I received the initial e-mail is fine and even helpful just in case I accidentally missed it. Follow up letters telling me how much you hate me because I didn’t post about your pound even though you sent me 50 excellent e-mails full of super useful information are not helpful. In short, I want to help you end the killing at your local pound. Please help me to do that by taking some initiative and sending me only the most relevant information that you believe will help your current reform efforts. In recognition of the fact that there are a lot of blogs to read and limited time in which to read them, I am hoping readers would indicate their preference on how many posts they feel they can manage on YesBiscuit. Please choose one answer from the poll below and feel welcome to expand your answer in the comments. Just a short announcement to start the day: On Thursday, I will be inactivating the blog’s Facebook page. As I’ve mentioned, I have limited time and the blog is really where I’d like to focus my attention. I have been remiss in certain blog duties (not answering as many comments as I’d like, not updating the sidebar, etc.) and it’s been on my mind. I am most appreciative of the 2527 people who have “liked” the blog’s Facebook page (as of this morning) and I hope everyone will continue to follow and engage in discussion on the blog. Thank you to everyone who participated on the Facebook page and I look forward to seeing you on the blog.